We took the boat to Mull. It was important we arrived in Oban before the last ferry, so I consulted the timetable. And noticed something funny. 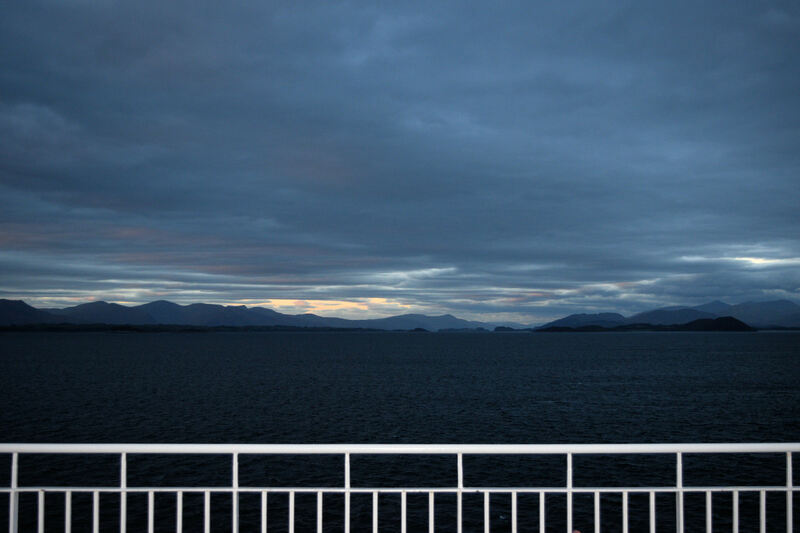 The last sailing of the day was back to the mainland. This is not a boat for the island. It is a boat to the island. I looked at other timetables. Arran, Islay, Jura, Colonsay - the same pattern. The first boat of the day leaves the mainland, the last arrives on the mainland. Am I alone in thinking this is the wrong way about? The impression is that the ferry to Mull is a service for the convenience of mainlanders. If a boat was needed for an emergency or other event, it is out of the islanders' power to do anything about it. It's not their boat. It's our boat. But we don't depend on a boat. We don't live on an island. Are all Caledonian MacBrayne services like this? No. The boat from Ardnamurchan to Tobermory, for example, stays the night on Mull. 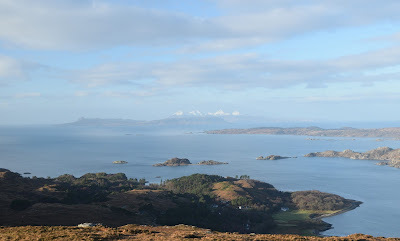 It's just... one part of the mainland arguably more remote than the islands is Ardnamurchan. Tobermory is Oban when compared to Kilchoan. The Calmac conundrum - a right maritime mystery! It's a really good point Robert, the great majority but not all services conform to this. The Bute ferries return to Rothesay following the last service of the day and depart from there on the first service, the Gigha ferry likewise returns to the island for the night...and for the Berneray-Leverburgh ferry - that depends on which island you view it from! That's a good point about sheltered harbours Ian, I never thought of that. You wouldn't want to leave a boat overnight in the Sma' Isles for example... or maybe that's just a flag that the harbours need improved! My point is about localism. I was on Rousay and the ferry timetable was disrupted because an islander was using the boat to ferry guests to and from her wedding on Egilsay. Now that is a service responsive to islanders' needs!